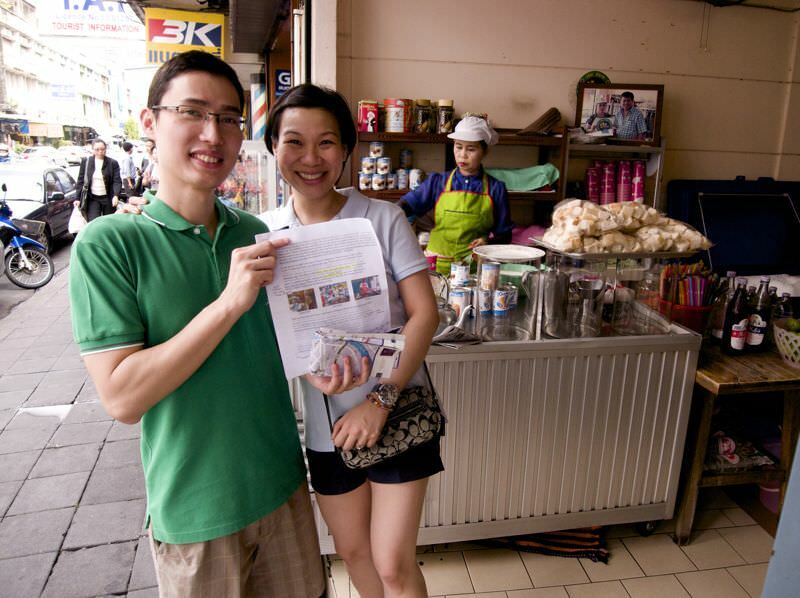 On a visit Saochingcha today, where we created a guide map in English and Thai describing where to find the best street food in Bangkok, we were amazed and delighted to find these two tourists from The Philippines clutching a highlighted printout of our guide! We saw them at Cafe Boran. This was our first time in the area since publishing the free guide in 2008. The lady at Cafe Boran was aware of the map and she said customers had shown her our website. Niyom Pochana said at least once a week he sees someone come in with the map, and he's noticed group tours of foreigners are now coming in. Korpanich told us that every day someone come in with the map to order sticky rice and mango. 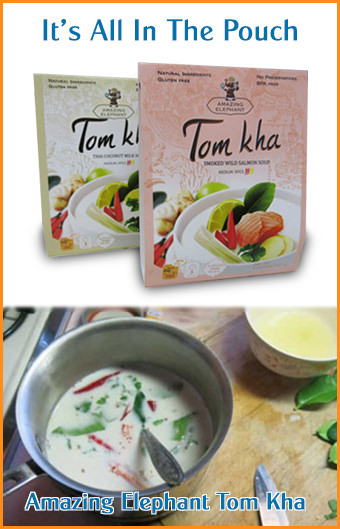 We're glad so many people like the information we're sharing about finding great Thai food shops in Bangkok. In coming days we'll post updated photographs of the shops featured on our map. All of our suggested shops are still there with one exception, the kind man at Khao Man Gai Chaiyo has closed up shop. He is the one who mentioned to us in 2008 that he dreamed of going to California, so if anyone sees him there please let us know!